Hellboy is a 2004 American supernatural superhero film, starring Ron Perlman and directed by Guillermo del Toro. 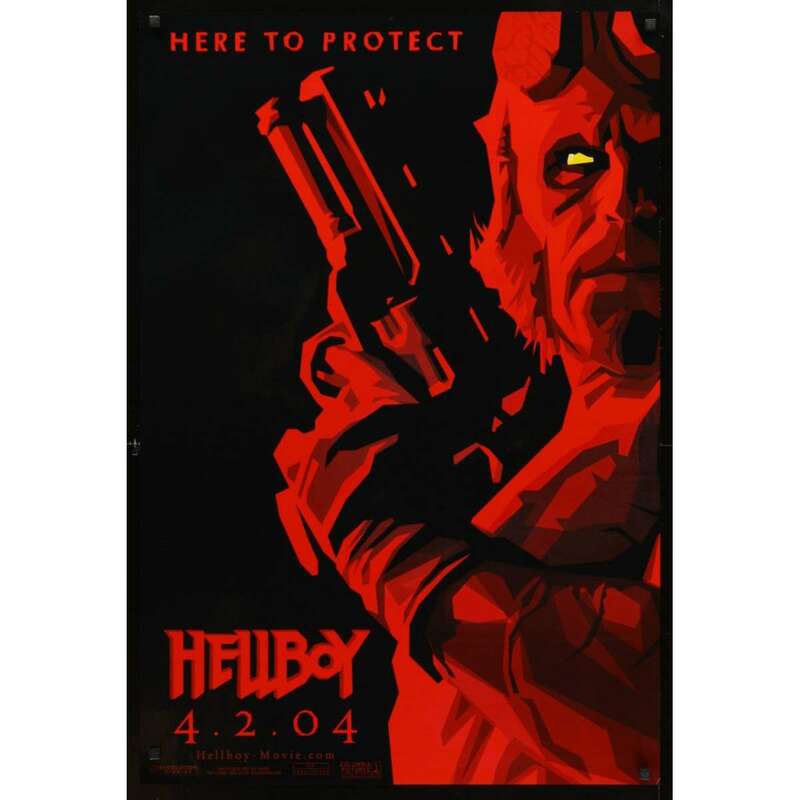 The film is based on the Dark Horse Comics work Hellboy: Seed of Destruction by Mike Mignola. It was produced by Revolution Studios, and distributed by Columbia Pictures. IIMPORTANT INFO: Note that this poster was never folded! An unfolded poster is almost always far more difficult to find than a folded poster of the same title, and finding unfolded posters in excellent condition is even more difficult!